Dr. Holmes is dedicated to facilitating people improvement and organization development in public and nonprofit organizations. In 2008 she established her own business, M. Melinda Holmes, Ph.D., LLC, after retiring from Kent State University (KSU) with almost 30 years’ experience as Assistant Director, Center for Public Administration and Public Policy (1979-2008). Dr. Holmes has proven her expertise and leadership ability in a variety of training programs and services to benefit government and nonprofit organizations. Training programs include developing and coordinating professional education certification programs for public officials; training programs for local government supervisors and elected officials; and teaching a Leadership Academy for a nonprofit organization. She was a member of the original statewide team that developed the curriculum for the Ohio Public Manager Program (OCPM) in 1998, served on the Curriculum Committee for eight years; taught classes, and advised student projects/papers. 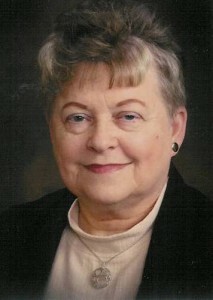 Dr. Holmes has written or rewritten numerous job descriptions for local governments throughout northeast Ohio in her capacity as the Assistant Director for the Center for Public Administration and Public Policy at Kent State University (1979-2008). Technical assistance services offered to governments and not-for-profits include planning and conducting city or village council and nonprofit board and staff retreats; advising local government charter commissions in establishing or reviewing a charter; developing and reviewing job descriptions; studying the future of community safety services; facilitating the capital budget development process; recruiting city managers; and providing staff support for Northeast Ohio Mayors to research and develop policy statements on current municipal issues. Strategic planning assistance has been a continuing demand of local government and nonprofit agencies. Dr. Holmes has worked with city, village, county and township governments, and nonprofit agencies, to tailor strategic planning sessions to meet their needs, that result in a prioritized, written plan for at least five years into the future. In the area of Human Resource Management, Dr. Holmes has designed and administered assessment centers since 1982 for promotion and hiring of managers. Clients have included cities, villages, counties, and townships. Each assessment center is designed based on analysis of the particular position and community; exercises are designed based on that information. She developed an innovative half-day assessment center for the Ohio Certified Public Management program to provide participants with career development information. Since 2004, Dr. Holmes has been an adjunct faculty member of the Department of Political Science, Public Administration Program, Kent State University. She taught the undergraduate course, “Introduction to Public Administration,” and graduate courses “Public Agency Management” and “Municipal Management and Administration.” She advises master’s students on capstone thesis projects/papers. Dr. Holmes holds a doctorate in Education Administration/Organization Development, and a Master’s in Public Administration, both from Kent State University. Her bachelor’s degree in English/Education is from the University of North Carolina at Greensboro. Dr. Holmes is a graduate of the 1998 Class of Leadership Portage County and is the incoming president of the Akron-based Northeast Ohio Chapter, American Society for Training and Development.